Great video. The divide and conquer dynamic is one of the core goals of the Zionist machine. Trump v Clinton, much of the election is ONLY about fomenting division, ONLY. Trump was always going to be President, Clinton was JUST a place holder. Fox News and CNN/MSNBC were designed for ONE thing, divide and conquer, first create two sides, then create a forum for each side to only get ONE side of the information, then fight fight fight. Hollywood, education, advertising…you name it, the Zionist cabal has it’s hooks deep into this nation, pitting us against each other. The only true answer is to disengage. No gang at the top is going to want to shake things up past a safe level and risk loosing its grip on power. Your right that its best not to engage too much but if you totally drop out of the political game then your leaving the machinery of power in the hands of who ever wants it… the fact that they NEED to propagandize people shows that they care, or need to pretend to care, at least a little about what people think. Important topic..sadly the issue may just be accelerated by the tec rather then caused by it… Culture of Narcissism by Christopher Lasch was talking decades before it about the atomization of people as they become disconnected from their communitys and families and even the way that theater replaced politics in the 60’s. The desire for community and meaning in our lives coupled with a new level of acceptance of personal selfishness means that everyones way more likely to jump n a bandwagon and go nuts …. while imagining that it doesnt really matter anyway and they cant change society for the worse…. Its a “Spoiled rich kids syndrome” and times like that lend themselves to weird cults because there isnt really a “middle” where normal people can hang out. as a side note singing in church is important for the same reason in that the shared activity gives a deeper sense of community and bonding. I wonder if our monkey ancestors used to do something like it? I read that grate apes were seen doing gyrating dances together in the moonlight but that was an old old book. Its so true that people need to build family and community before they worry about anything else. They engineering of fallacious thinking. During the winter months, I play Cribbage in a pub league that has been running for over a 100 years. I’ve been a member for 25 years. We haven’t won the shield in my time but the social interaction is the most important part. Finding younger players to join is a real / almost impossible problem. SO SAD – as the trump might tweet ☹. so true… I guess its that we’ve got a generation or two of folks who have had personalized entertainment pumped directly to them first via the web and now even more so by phone into their hand. I want to scream at the parents when I see babies in strollers playing with phones and tablets…. I just tried searching for “9/11 A Conspiracy Theory” and it came up. They must be listening to you! Youtube checks which videos you viewed / liked and what you are subscribed to. It will search those too. Computer: I cant let you do that Dave….. The site was built in 2007, and was an offshoot of Project Censored, out of Sonoma State, which you might know. I came aboard in 2009 and went nuts writing on charter schools, of which I have two books, but also many other themes, interests. Like for-profit colleges and university where I would go over their 10K reports with a fine tooth comb. I received two awards for investigative journalism from Project Censored. And I have penned many an article for Truthout, Common Dreams, Alternet, Philosophers for Change, many articles in Counterpunch, etc. You get the idea. When I moved to Ecuador in early 2013, I began to write about, more and more, about ECUADOR and especially about the criminal Issais brothers who few have heard of outside Gusano, Miami or here in Ecuador. They are criminals. They stole $170 million dollars from federal bank guarantees, banks they owned and then cashed in on in 1999-2000 when they then fled to Miami and left Ecuador in such a crisis the currency was dollarized and he people, two million of a nation of 16 million, were forced to flee to Spain and the US to get work. Families torn apart, as we see now. They own cable /TV stations in the US, they control Robert Menendez, Senator and should-have been convicted criminal, from NJ. They control Leighton, Senator from Miami, Rubio from Miami etc. All pointed at in the above article, but not with the depth I actually wrote about it. And their reach is long. Their funding and control of the Ecuadorian overthrow in 2016 has yet to be examined critically, but as the above article I wrote and you will see, shows, they are deeply involved with the US deep state, the Clintons, Obamas and other cheesy characters and operators for the elites in the US. So let’get to the deeper articles! Lost? Well, more than likely erased. Blanched. How about: Danny Weil AND The Issais brothers. But what about the other ten articles I wrote on how these Brothers wstole $171 million dollars from Ecuador, live in mansions in Miami, pay to get visas for their maids so they can come from Ecuador and clean and slave, etc.? Al for Daily Censored. Well, it turns out that Daily Censored isn’t alive anymore. I lost over 1,000,000 words, in articles with its demise. Do I have them on a key or some such thing? Sure, some of them, not most. And they were activist articles, timely and working in conjunction with groups. In the dungeon of memory they will not be searched for, they are ‘forgotten’. weilunion, a sorry tale,and pertinent to the thread. Guess we have to invest in the printed worded and libraries to maintain that history. You prob cant use it on the wayback machine archived version, but you can prob copy the articles you want. I love hearing anecdotes. This was very interesting. Thanks. Glad you made this video. I’ve been attempting for some time to ensure I get competing views on subjects, though I have a hard time with many of them just because they are short in certain areas. Gotta have standards! I would also like to state that YouBoob does more than just filter your offerings and cancel your channel; they will mute your notifications as well. I have apparently been banned like this. I can see why as whenever I find a particularly stupid troll I like to initiate a full bezerker death match flamefest. They never work alone. But that was just a fun little hobby. James did mention that he got his results quite early in Youtube’s life (in the first year or so) and that he very well may not have got the same results after they started messing with their filter algorithms. Hi James. I went to youtube and typed in “corbett report 911 5 minutes” and indeed your video came up first. At least in my search. I know this sounds basic. Have you signed out of everything Google, Chrome, Youtube and then erased/clear browsing data or search with another web browser. Does this make a difference on search results coming up? It MAY make a difference… ideally you need to kill all the tracking cookie things they make hard to find and your IP address may have an effect too. Easy way to see how big your bubble is is a)Go to someone elses house or a place with wi-fi with a computer thats got a fresh install… you could just “boot” with a USB thumb drive using Puppy Linux which will give you a totally ‘clean’ OS that wont save anything at all unless you ask it…and then boot nto your old OS afterwards. I think the IP address is used in tracking more then it used to be since I’ve found devices from my home all tend to get the same kind of result even when pretty new- buts that just what I think. You type in the actual title of the video “9/11 a conspiracy theory” in Youtube and the video won’t show up in the results. (at least I gave up after 100 results). 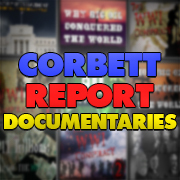 However if you construct your own title based on knowledge of the video, such as “corbett report 911 5 minutes” it shows up at the top of the list! •	Listening to Angela Nagel on Soundcloud who looks at 4chan, 8chan and the destruction of the left through identity politics. I have two copies of Kill all Normies – want a copy – happy to oblige? •	And lastly Suzi3D & Elizabeth Lea Voss – dissident journalists working to support Julian Assange who have worked tirelessly to form an apolitical support network. So, I’m curious: am I an outlier, is it my age or something else – that I just want peace and a multipolar world free of wars on terror, drugs etc? that I just want peace and a multipolar world free of wars on terror, drugs etc? Looks at UK politics with intelligence and humor. Light humor on US politics. School / University physics with some fun experiments. Ditto on the LINKS. Thanks! Brilliant James! I think there is another level of this bubbling. There is Goo Tube algorithm level, there is the internet bubble which one creates for oneself. But then there is the very structure of the persona one is or I should say “believes oneself to be” In this case the problem becomes a “personal” one. And the solution becomes highly introspective. There is a chatter which is endlessly going on in the mind of everyone which is 90% repetitive. With a little work one can tune into this and see what ones mind is constantly telling one. If one can become detached enough (not identified with thinking it is oneself talking) one can witness this monologue from a different more balanced perspective. That view will show that the primmer of bubbles is oneself. Which I might add is also a bubble. Pretty obvious right? The kicker is from that view we can change the monologue weed out erroneous concepts, limiting beliefs and some of the craziness which has been whispering in our ears since day one. The problem begins at home and that is where our power to change is. This is so very true! We’ve become such an extroverted people, that we truly only know ourselves from the superficial viewpoints of others. I confess, I used to be more balanced than I am now; but I don’t mind the balance shifting towards introvert. If we don’t know ourselves, then we don’t know anything at all. We just operate as some blind, mad emotional reaction machine. While it’s true our food supply, nutritionally deficient and laden with toxins and sugar, exaggerates this trend; no one made any of us stick that crap in our mouths. So, pretty much it is within our power to do this. I leave you with a very bad paraphrase of an Alan Watts proverb: The only thing we can control is our reaction; but that is enough. JimBob who rarely gets quotes, dates, or names right; but he does note the trends. JOSEPH FARRELL: Q ANON: DEEP STATE WIZARD OF OZ? I think these attempts are so incredibly efficient because people are inherently lazy and are constantly looking for someone they can trust to do what’s best on their behalf with as little effort as possible on their end. It’s a bigger PSYOPS than Flat Earth, but much, much more refined and coordinated, and the psychological usurpation and weaponization of the truth movements against themselves, the shaping of a fabricated false awakening with limited hangout elements that will be used against the enemies of the deep state. Just like Trump being the ‘hero’ against the Deep State is a faux narrative (in spite of the huge kabuki-game pertaining to the mainstream media VS Trump). Control the minds and you control everything. In the real world 2018 a variation of this are micro bubbles in unknowing compartmentalization being used aganst their own flock; the conspiracy theorists’ (the most dangerous enemies of the empire), all the while many truthers are subcobsiously hijacked but thinking they are fighting against the empire. The weaponization of conspiracy theorists….eerie and creepy like hell. Cambridge Analytica was able to use this real-time information to determine which messages were resonating where and then shape Trump’s travel schedule around it. So, if there was a spike in clicks on an article about immigration in a county in Pennsylvania or Wisconsin, Trump would go there and give an immigration-focused speech. In a 2016 profile for Das Magazin, a Zürich-based culture magazine, Kosinski talked about the predictive power of his (Kosinski’s) model. Talking about “de-humanization of others”…and “losing human interaction”….and “choose how we relate to others”…. how about doing a special podcast on ubiquitous ‘smart phone’ use? are fixated on their ‘smart phones’? Or not that it was easy peasy to pick up a girl just walking down the street 20 or 30 years ago…but today what is the chance of that happening when most of these girls are fixated on their ‘smart phones’ as they walk along the street? Speaking about filters and searching etc. I just carried out an experiment (I believe for the first time). I was watching another of James’ videos on Youtube and then reading through the comments below it. I found one that struck a chord with me and a thought occurred to me. Why not search for parts of the comment using Google? Now Google is usually all-internet pervasive. And they own Youtube. It would be child’s play to include the comments to Youtube videos inside their search engine algorithm. Well, lo and behold, it couldn’t find the comment! I also tried searching inside Youtube, but it still could not be found. What does this tell you about the value search engines place upon our Youtube comments? Yet comments made here at Corbett Report do show up in Google’s search engine! But youboob will shut off your notifications for responses to those comments. This alone means that discourse is shut down. Could you expand on this a little more please Santa? I rarely post to youboob. Are you saying that youboob refuses to notify you of responses to your posts? Is there a setting on youboob you can make to receive notifications? You got it right. However, the notifications you control are those of videos (which never work for me). This notification button used to include comments (it may still for others). There is another one for messages, but it’s never lit up for me either. I don’t really feel like seeking out GMO, fluoride, similar trolls that much, so I don’t really post that much either. Only noticed it last week when I was replying to someone in a trumpy speech who was pointing out some truth bombs. Those comment sections are cultish! You’d think he was the messiah by the way they go on. But, he replied and I happened to go back and noticed it. That’s all I know on the matter. JimBob who finds most trolls are just not up to par enough for him to really enjoying splattering their egos all over the net. To get the notifications for new videos, you need to click that bell button, seems to work for me. I don’t comment much, but I do get an occasional comment notification. I’ve clicked it many times. Just got tired of worrying about it, so I just scroll down my subscriptions instead. I already know what I’m searching for already anyway, so I’ve just adapted. JimBob who probably subscribes to videos youboob doesn’t like that much. It probably has something to do with how robots are handled by youtube. If James wanted to, robots wouldn’t crawl the comments section and as such they wouldn’t be available in the google search results. I’m not saying this is why it happens, it’s just the plausible technical reason. I.e. try searching for comments from Corbett’s newsletters. Sorry if you misunderstood the reason for my post. The purpose of my post was not to try to figure out the technical reason(s) why a site has its content searchable by Google. Rather I was stating that Google has made a business or political decision not to make its Youtube comments searchable. I just tested Facebook and Twitter. Facebook comments also are not searchable on Google. As for the Corbett Report. Yesterday comments here were searchable on Google. Today they are not, nor are comments in the Newsletters section. Perhaps James turned off this function overnight? I understood your point, but my point was in stating that the technical reason is, from my perspective, more plausible than what you concluded. I have a tendency to go with what I deem to be a simpler explanation. Further, I consider most of these comments so awfully bad that blocking them intentionally isn’t really worthwhile. The way youtube handles these things is not supportive of a constructive discussion. This is not to say these comments can not be included in the search results, it’s just someone made a decision to do things in a specific way which killed some functionality. Developers and decision makers often make such moves, sometimes shooting themselves in the foot. This functionality is reflected on hooktube as well, which has a “load comments” button. I have no idea how facebook comments work so I won’t comment on that. For me, I just checked, regular articles’ comments sections on corbettreport are searchable on google, by using the “site:” keyword. The newsletter articles’ comments sections are not available to the web crawler because one needs to login to access comments on the newsletter as well as the majority of the newsletter itself. I don’t see any foul play here, either. The corbettreport search feature, on the other hand, searches only the articles content, not comments sections. I’m sure this is again something caused by technical limitations of the platform itself. All I am saying is that Google, with all its technical know-how and computer expertise has the ability to make its Youtube comments searchable. If they set up Youtube in such a way that the comments there are not searchable it was a business/political decision. It was not a technical reason that they couldn’t get around. For me, I just checked, regular articles’ comments sections on corbettreport are searchable on google, by using the “site:” keyword. The thing is, most people would not know to use the ‘site:’ designator for their search. and I couldn’t even use it now, because I don’t know the syntax! The newsletter articles’ comments sections are not available to the web crawler because one needs to login to access comments on the newsletter as well as the majority of the newsletter itself. I don’t see any foul play here, either. I was not meaning to suggest any foul play on James’ part. I was just reporting my search results and wondering why certain sites are searchable and others not. This is an internal search feature. I was only referring to external search engines such as Google etc. Yes, Google can make it so. I could make it so, it’s not a substantial technical problem to get around. However, would they deem it worthwhile making it so? I stand by the conclusion that this was done for technical reasons, i.e. lessening of the server loads which must be gigantic as they are which in turned killed the searchable comments feature. I’m assuming, back in the day when the comments loaded with the video, comments were searchable. The site keyword is there to limit the scope of the search to a specific website. You get similar results if you omit the keyword. Hereby I believe I have proven beyond reasonable doubt corbetreport comment sections are searchable on google, everything past the newsletter comments that is. There may be a slight time delay to allow the bot to do its thing. I mentioned the wordpress site search feature to provide an example of a technical reasoning behind the means of achieving a search capability. – corbettreport search feature probably uses wordpress software which looks for text in article contents only. These are probably stored in a separate database than the comments. Now, if we weigh probably tens of billions of daily views on youtube against just (lets say) 50% of these views loading comments we can see that if you make the comments load on demand only (i.e. scrolling down) you save many billions database fetches daily. Your conclusion that they must have done so due to political concerns does not follow. Yes, Google can make it so. I could make it so, it’s not a substantial technical problem to get around. That is all I am saying. No more, no less. I was not fixated on the political part. Finally about searching Corbett Report using Google. Yes I trust you that it can be done. I was just saying that if I’m searching for a specific sentence and search for just that sentence, without any key words about Corbett etc. it won’t show up. Most people won’t know to add Corbett specifics. I completely overlooked the “business” part, but I’d still say it was just collateral damage of a business decision. With all the censorship going on over at youtube, I consider this to be a speck of an issue. Like “mkey” pointed out, there have been at least a dozen times I have used Google to locate a comment post from a previous Corbett episode. In fact, when I use the search engine “SEARX.ME” and search only for “dogsagainstfluoridation”, I get various Corbett Report episodes where I had linked to the website in the comment section. I trust you when you say it works. But you are using specialized search language that the average user doesn’t know. Test a “Google Search” with some unique keywords. Thanks HRS, it’s now working for me. It sounded like locusts (cicadas) in the background. I found this video to be remotely connected to the topic at hand. On topic or not, taxation is theft from Joe Sixpack. The Government is like a dude who see’s you buy a beer and then comes up and takes a gulp… when you buy ciggaretts they come over and take five out and chain smoke them blowing smoke in your face…. when you buy a meal they sit beside you with a fork stealing the tasety bits. Lol… if people actually SAW that they wouldnt put up with it so much…. The result of tailored customization algorithms is Extreme Individuality and a Divided and Conquered humanity. I know everything because I have access to all information in the palm of my hand. Therefore, if you disagree with me you must be an idiot. We are Cybernetic organisms interacting increasingly MORE with cerebral prosthetic gadgetry and LESS with biological beings. For the moment, the prostheses are external so we find it easy to poo poo the notion that we are cyborgs. We are in denial. Interaction with biological beings is on a superficial level. We pray in private to a new deity. God is dead. We have the all knowing Internet. Have faith. Believe. Typhoon Jongdari will begin to affect Tokyo and much of southern Japan early Saturday and is expected to take an unusual path across . One of the things I wholeheartedly agree with is listening to and interacting with those that disagree with you. I unashamedly confess that I have also promoted that idea and lived it. I often consider the marvelous joy of seeing a reasonable dialog between a Christian, Muslim, and Atheist. Those dialogs are rare, but do happen with at least two of the parties, and I am always willing to take part. As a follower of Christ I find my greatest enemies on that are those who also claim Christ but it is the club, not the truth that drives them. As a Christian who does some study of the Quran and occasionally listens to an Imam, I find that there are rational humans that follow something I contend is untrue. But I contend in dialog not with a hellfire missile. Since I long ago downloaded all 4 of the “A Conspiracy Theory” videos, they are now also available for viewing or download on my server at: http://shofarnexus.com/A_Conspiracy_Theory. Note the difference, this is my server, not another copy using a third party provider. This video, among others like it, represent the reason I support the Corbett Report even when I am not able to listen. Excellent, James. Greetings James, first of all great report. I have to say that even though youtubes algorythms are shapings peoples minds, it was three years ago thanks to a recomended view I found your website, and through your videos I found more interesting websites like Media Monarchy and Global Research, and opened my mind regarding the information I revieve/read/hear/watch and investigate its sources. I believe that it is a continous growing process; yesterday I used Youtube, today I use Bitchute, maybe tomorrow I’ll use something else; same goes with social media and what we use to inform ourselves. But I wanted to comment on something much more important for me in this report; understanding the music that belonged to my era and discovering the secrets behind music composition. As a 40 year old, balding music aficionado and an amateur musician that, during the 90’s, worshipped the Smashing Pumpkings and hated the Pixies, just recently I understood the truth behind music composition and how it really works to make it sound “tasty” to our ears. There is a great song that belongs to the Blues Travellers called Hook that’s the same 4 chords the whole song, over and over, and the lyrics explain how they are using a planned procedure to keep you hooked to the song. Also, I recently “discovered” the Beatles and the way they created music using chord progressions (up to 7 different key changes in Penny Lane!!! ), among other techiques. I Highly recomend, if your interested in composing, watching “The Beatles: a musical appreciation and analysis, by composer, Howard Goodall CBE” (if you can’t find it any where else heres a link for youtube: https://youtu.be/ZQS91wVdvYc). And to finish this post, just mention that although Radiohead did have very cool videos, I personally love the Virtual Insanity video even though I ever listened to Jamiroquai and believe it to be the most complete video of the 90’s. Keep up the good work and I hope you discover what’s hidden behind the music that we love and thought was pure. Conscious beliefs are of course one key, too, to our “filters.” We tend to tune out that which is not in accord with our beliefs. 2. 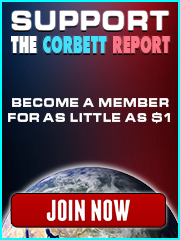 So why would a “Seth freak” enjoy the Corbett Report? Many would think of Seth & James as incompatible; after all, James is an advocate of reason and evidence; Seth speaks of much that is “intuitive;” the whole realm of what I’ll call the “non-material” is often completely dismissed and/or derided by advocates of reason and evidence. A history buff, I’ve found there’s no shortage of material regarding what led up to those events & what followed, even if many — per their beliefs &/or filters — refuse to even look at such material. Often, I like to use HookTube to search for topics on YouTube. I like the way the results are displayed. Often, recently, when I go to YouTube to watch a video, a common ad which comes up is from “Gaia”. Is anyone else getting lots of Gaia ads when they visit YouTube? Solaris, by Stanislaw Lem, tells the story of humans encountering a non-human intelligent ocean on a far planet, and in humanity’s attempts to communicate with it, the Other presents each member of the space ship’s crew with a completely realistic, living person from their past to interact with, showing that the Other knows more about each crew member than each crew member knows about himself. The humans get self-referential loops and find out nothing much about the alien intelligence, in other words. They are all far too involved, and soon totally absorbed, in the “real hallucinations” to coin a phrase, they are presented with, to find hardly any perspective on what’s happening. They all get “Filter Bubbled.” It is a movie by Director Tarkovsky, as well. Exacty, micro bubbles in unknowing compartmentalization being used aganst their own flock; ‘the conspiracy theorists’ (the most dangerous enemies of the empire), all the while many are subcobsiously hijacked but thinking they are fighting against the empire. The weaponization of conspiracy theorists….eerie and creepy like hell. This is an interesting video showing how even “small potato” posters get censored. The entire trend of media is interesting. Also, the trend of the “cultural memes” of different segments of the population is interesting. I often see some characteristics in the young 20’s age group and then in the 30’s age group, that just befuddles me. These types of people are all over the place. They appear to be detached, disinterested and lack focus. They are engulfed with everything that makes their state worse, instead of better. This is true for those with heigher education as well. So true, at least from my observation. What a great era to have a career as a moronic politician. I thought I’d share some good news on this filter bubble thing. One of my recent youtube recommendations was for this guy. I watched the video of which I am linking just this morning. It’s his first inkling that things weren’t as they seem in the world. A scant six months ago; so he’s a bit late to the party. But, he’s made up for it now. Anyway, I found this video reassuring as he’s honest about his ignorance, but it’s something that he find reprehensible. I have never seen an earlier video, and I haven’t watched that many period. But, I do know that he went down the rabbit hole and has found a lot of rotten warrens. Truth will always win out. Remember this, the internet was invented in the 40s. I got it in 92. I was a fairly early user of it, but not a pioneer. DARPA probably had FaceBook in mind when they allowed we mere mortals to develop the internet. But I bet they didn’t think we would branch out and question each other the way we have. Anyway, they cannot create a filter which will hide the truth anymore. Unless they shut down the net, and that would be pretty bad. JimBob who notes that living in fluorida means that you’re already used to the state failing in every dang disaster ever. Thank you for the very provoking video – right on time. –	I have some programming experience, and the factors you mention are as you say mirrored in the algorithms you touch on. They do have statistical models, both worldly models and mental models. That is one factor, and these are adjusted over time, not always for the worse. –	Another factor is the polarity mentioned in the video. The bubbles we have, and which they model are always based on their conception of individuals and of the “communities” we are in as well as what they think we are in, their Facebook groups, internet communities, Youtube channels in common etc. –	This polarity has aspects such as age, gender, race, nationality, which are modelled in. –	This can lead to both frustrations and happy “coincidences”, when they get it right. I have to be honest, despite all the censuring and repeat showings of videos I have already seen, despite being unsubscribed from channels I wanted to follow, they have had their successes. They brought me the Corbett Report at a critical point, and other influential videos at other critical times. After abandoning the conventional mass media about fifteen years ago, I have had a lot of important self-education through the internet, Google and Youtube being essential elements in that. –	This modelling aspect becomes increasingly obvious, when several people have reported being fed ads after talking about certain products, either in e-mails or in phone conversations. That has been reported both online and from personal friends. We have also all noticed coincidences, when things work unusually well or unusually badly, either things coming to hand or not working as built or expected. –	One particular case of bubbles being very obvious, are the two sides of the Russiagate phenomenon. Those who believe in the story of Trump being installed in the Presidency by Russia are in one bubble, which is apparently impenetrable to anyone who does not include themselves in that world view. –	Here in Brazil, we have another stark example, of the pro and anti-Lula camps, just as hotly contested, each side thus far, not being able to entertain the possibility that the other might have a point. –	Brexit is yet another case in point, but where the lines are less clear, with the nuances being clarified as time goes on. I do think there is a group rethink going on about this, both in the UK and in the EU, but also perhaps worldwide. –	I have also noticed one aspect of bubbles, which living in Brazil does allow a certain distance or detachment. There is a tendency amongst people living in the great metropolises and the First World, to only think in those terms, so common of those people that no-one even notices them. This was brought to my attention more strongly than I had previously thought was in effect, when a Brazilian friend mentioned the only factor keeping her from going from the messy Brazilian political and economic situation to work in Canada, was the distance to observe the world from here allows one to perceive some things that she would lose if she were to immerse herself in university life in Toronto. I guess James would also agree with that point. –	I myself have stepped into and out of various bubbles in my lifetime, Brexit being one of them. When I was a secondary school student, I was in favour of the EEC. Over many years, I came to be more and more leaning to the “This is getting ridiculous” position. Then I became agnostic, but when the vote was announced, I was both troubled and elated, and thought, “That showed them, didn’t it”. After some months I thought again, and came to the conclusion that basing such a decision on a feeling of resentment was perhaps not the best path to choose to follow. But thanks to the recommendation list also found this of a flight attended, which is an interview with some new aspects. All the best for you & family! Roth is very probably a controlled disinformation agent. Or at the very least, her motives were just to sell books, based on research into Roth which many members in our 9/11 Group did years ago. I just searched for the Corbett 9/11 vid in Youtube and it was like the 7th or 8th suggestion that came up. Not sure why so many are not getting it in their search results. They probably figure we have seen that video enough time as it is. Seriously, these suggestion algorithms probably have a number od variables which may canel each other out. Depending on the region for instance. James- You came up with some nice chord changes. The same changes are used over and over because they sound natural. You can create your own melody over familiar (or overused) chord changes, so don’t get hung up on “stealing” chord changes. NB! By the way; one of the secrets of the film, The Matrix, is that the ‘real world’ ‘outside’ the matrix was also a simulation, another layer created, in order to keep track of rebels and prevent them from escaping the matrix for real, and uphold the power structure…providing what I call ‘false awakenings’ mistaken for real ones, just like planned. I suggest people fight hard to deprogram themselves from the pro-Trump’ian/Alex Jones’que false awakening/controlled oppositions/limited hangout story telling. Trump is the mainstream COINTEL executive puppet/version of Alex Jones, along with pundits, Q-anons, etc. and millions of hijacked Trump-believers to shape the dissent and Divide & Conquer. Long story short: because some of the predictions come true, proving that the Q-team are insiders, these are then taken as ‘proof’ that Q-anon is also a ‘true rebel’.for the people, a logical fallacy. It’s only giving proof that Q is an entity within Trump’s inner circle, not that Q is a patriot for the people, but the latter is taken as evidence. And the evidence is then used to hijack people’s belief in Q’s version of reality, i.e. ‘how the Deep State power struggle looks like’, ‘who the players are’, ‘what to fight for’, etc. Its arguably the most divisive wedge among the truth movements so far (much more than Flat Earth), creating incrowd splitting, severe conflict and defriending, polarization, etc. It’s creating a climate of ultra-paranoia, and accusing truthers for being controlled oppositions and controlled oppositions for being truthers. A fractal chaos of confusion and discord, a kabuki game of fractured mirrors. Q-anon plays on the most fervent and holy aspirations of awakened individuals and a huge chunk of the truth movements – fueling the hopes of tearing down the system that has created the most veiled and dark tyranny the world has ever seeen, the end of untold suffering inflicted on humanity. With this in mind, in so far that it’s not only a grand LARP (Live-Action-Role-Play) but a real LARP + diabolical PSYOP, it’s likewise – reversely and proportionally – a most unholy and cruel mind control and grand perception management scheme on the minds of millions (and using MK-Ultra’sque (Q is using classic MK-Ultra like symbols also) and Sunstein’sque cognitive infiltration of the truth movements and something like Cambridge Analytica or Palantir in its gamifaction and social science PSYOP). Its a messianic cult religion to millions by now, the common denominator being that Q Anon is FORCING a Shift In Consciousness! Now there are wild bezerker uruk-hai digital Q-legions of gamification truther addicts in their teens, newer generation of conspiracy theorists in their 20’s and 30’s, whose minds are being hi-jacked through limited hangout and PSYOPS on a scale never seen before, creating tremendous confirmation bias and selective omission of Trump’s iniquity. Yeah, I got a sense of humor too. Some of those Xtranormal clips people make are great. James is into Radio Head. check out this Xtranormal clip, it’s ‘far out man, so deep’.